We provide automotive logistics and supply chain solutions in Europe. Enjoy the benefits of a dedicated industry expert team, specialised equipment, high-frequency shipping schedules, and digital technology to support your business. 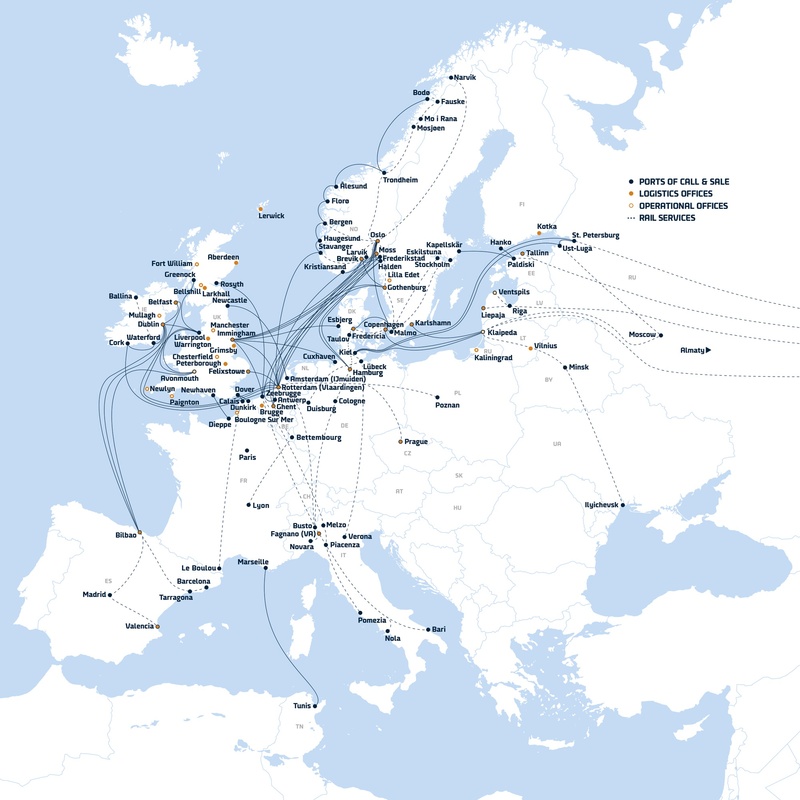 With a fleet of Ro-Ro, Ro-Pax, container vessels, and logistics routes across Europe, DFDS provides access for the automotive industry to one of Europe’s most comprehensive freight shipping and logistics networks. In DFDS, we provide you with both inbound and outbound logistics. Whether it’s shipping automotive parts to the factory or transporting vehicles to the dealership, we've got you covered. Our just-in-time delivery concept ensures that automotive parts arrive in time and in the right sequence for the assembly line in your factory. DFDS' team of automotive industry experts fully understands your demands. We can easily adapt to your needs, offering not only traditional transport services, but also innovative and tailor-made solutions. Our just-in-time solutions make sure your cargo is always in the right place at the right time. We offer tailor-made transport solutions for tractors, trucks, busses, chassis, and construction equipment. We have modern ships with hanging car decks. Our box trailers all use digital on-board tracking for added security (TAPA certified). PDI facilities for your cargo to leave the terminal in best condition. We have designed trailer fleets with anti-slash curtains. Find answers to your questions. Our customer services pages include info about our services, terms and conditions, office locations, DFDS' impact on the environment, and much more.